Installing a new roof is a huge investment, and as with any investment, you need to be covered for any type of problem that may occur in the future. This is why roofing contractors provide different types of warranties when you replace your roof. Here we have answered some of the most frequently asked questions to provide you with the most up-to-date roof warranty information. Q: Are There Different Types of Warranties? A: There are many different types of roofing warranties that vary depending on the type of roof and the homeowner’s budget. this is the typical residential warranty provided by the contracting company that installed the roof. It normally covers against leaks due to workmanship or materials. while these warranties vary between companies, they are provided by the manufacturer of the roofing materials used. While some cover the entire system, others may only cover tiles, shingles, or coating used. All are dependent on licensed professionals performing the necessary repairs within their allotted time frames. these warranties are normally issued on commercial roofs and include the materials needed to install the new roof system as well as manufacturer approved accessories, flashings or metal edges used in the initial installation. Depending on the conditions of the warranty, it will usually also cover costs for labor as well as repairs. Q: Can I Transfer My Warranty When I Sell My House? A: As always, the conditions of a roof warranty vary from contractor to contractor, which is why you need to read the terms of your contract before purchasing it. Whether or not the warranty is transferable, it will be clearly stated in the warranty documentation. If there is a special circumstance, speak to your contractor to see what can be done to accommodate your request. A: Roof warranties cannot simply change hands when a person sells their home. Instead, a roofing contractor will have to come out and inspect the roof in order to ascertain whether or not it has been properly maintained. The seller will have to pay for a contractor to come out and sign off on the roof before a roof transfer is authorized, and may also have to pay an administration and transfer fee to the company providing the warranty. If the contractor finds any problems or damage that had not been previously reported, the seller will have to pay for repairs himself before transfer can occur. Q: Do I Have to Maintain My Roof? A: Yes, you do. Most warranties require regular, professional roof inspections in order to be considered valid. Simple repairs that could have been avoided by regular maintenance can result in your warranty being voided at a later stage when the issue becomes more problematic, so try and avoid any roof damage caused by neglect. 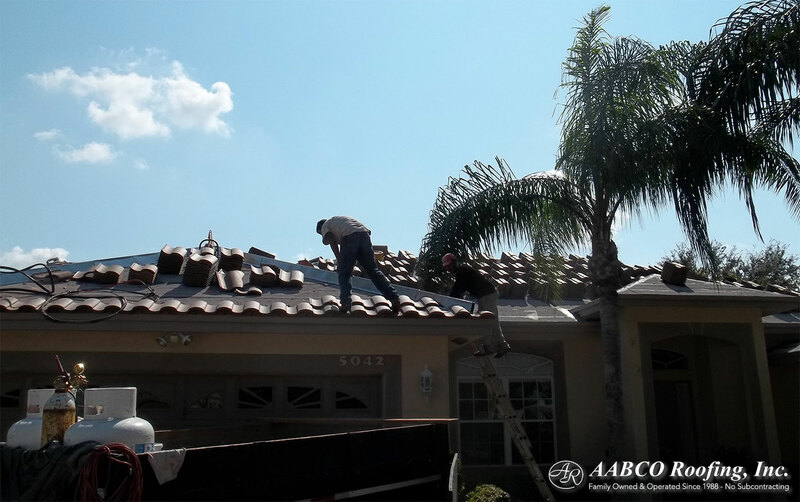 If you have any other questions regarding roof warranties, do not hesitate to contact us here at AABCO Roofing, Inc.